Oxhey Chapel built in 1612 by the Chancellor of the Exchequer to James 1, is to be restored at and estimated cost of between £5000 and £6000. 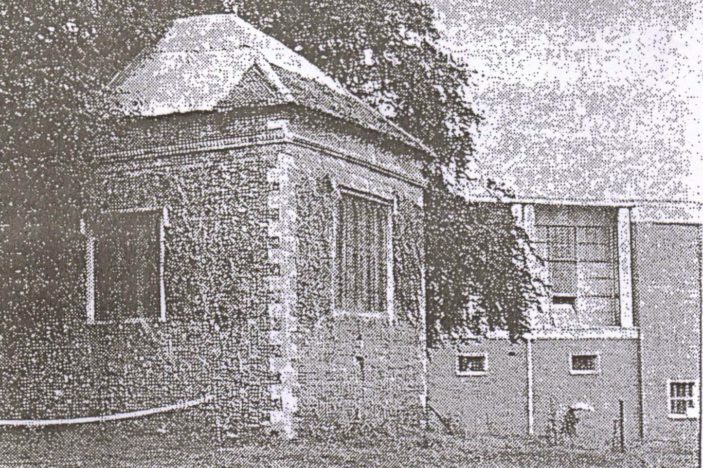 The Chapel, which stands near All Saints’ Church in Gosforth Lane, is South Oxhey’s only remaining physical link with the past. It was the private chapel to Oxhey Place, later the home of the Blackwell’s which was burned down three years ago. The Church of England only purchased this chapel last year, and it is in a ruinous condition, said the Rev. E Charles, the Vicar. During the snowfalls last winder a large hole developed in the roof. This is now covered with a tarpaulin to prevent deterioration. Mr Charles said there exists a determination to preserve the only old building on the estate. It would, when restored, be used probably for baptisms and adult discussions. There was to be a new heating and lighting and it was hoped work would start very soon. A fund is being arranged locally to help the Diocese of St. Albans with the work and though the public appeal will not be launched until the autumn, a subscription of £5 has already been received from Watford Archaeological Society.